I’m my attempts to track down even the crumbled foundation of the “Rock House” featured on the cover of Roy Orbison’s 1961 Sun Records release, At the Rock House, I’ve reluctantly concluded that any physical construction of said house was completely built with fictional bricks. 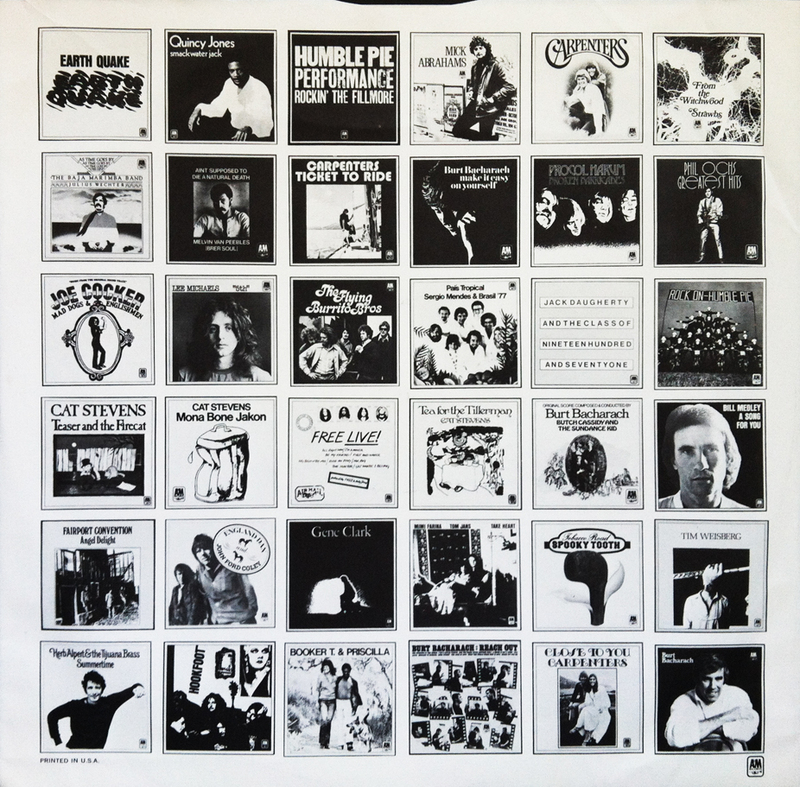 The term can be best described from the album’s back jacket, in good ‘ol black and white and well, soon to be read all over: You will find in this album a collection of Roy’s adventures on the Sun Label. 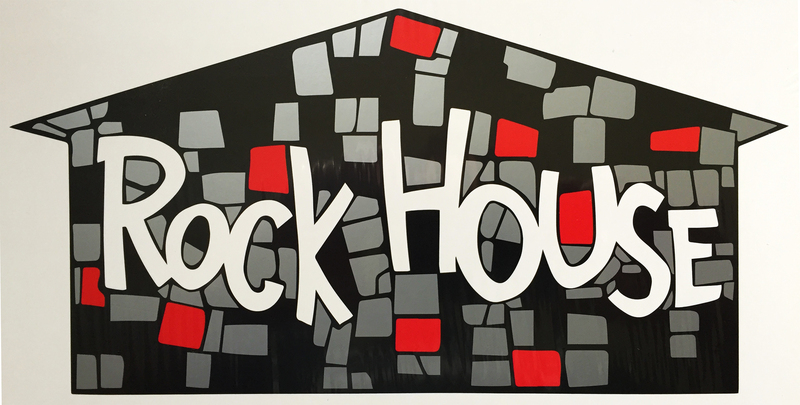 We believe you’ll find it to be a real “Rock” house for dancing and listening. 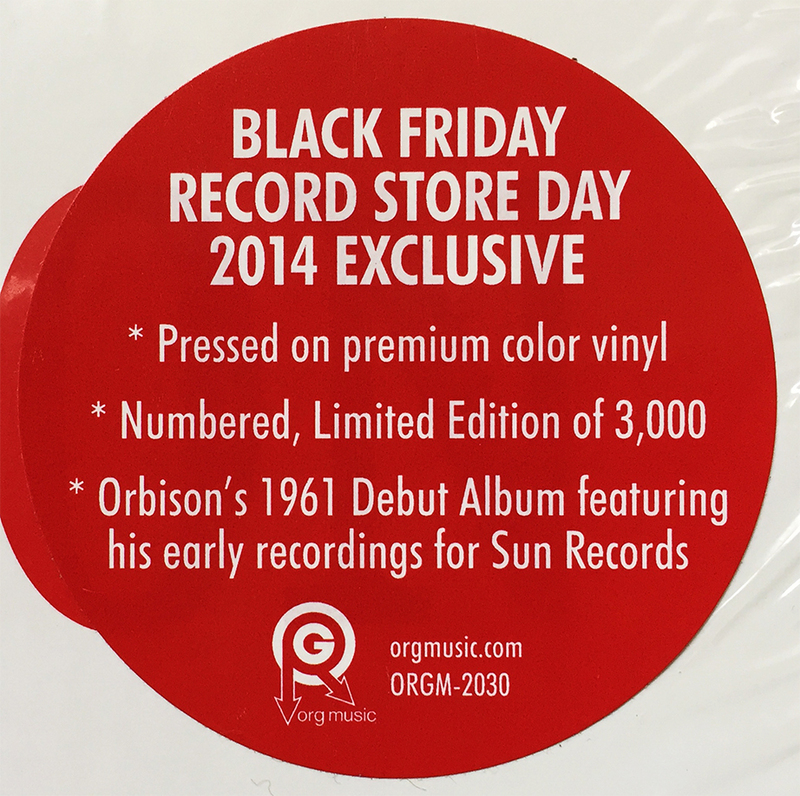 It gives us great pride to present a real talent great, along with a real fine boy – Roy Orbison! 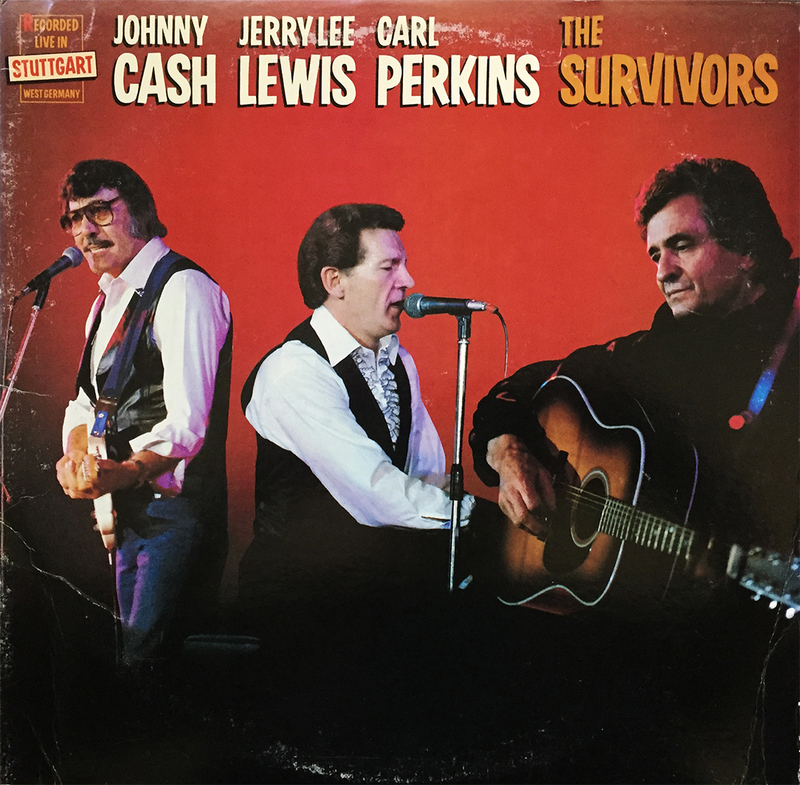 Presented here is a live album featuring three unquestionable legends: Johnny Cash, Carl Perkins, and Jerry Lee Lewis. The album, containing 12 songs, was recorded in West Germany back in 1981 when all three artists were on tour. The collaboration was an improvised little piece of country music history as Perkins and Lewis, during their night off, joined Cash on stage for what was originally intended to be a Cash-only performance. The result, is three Sun Record kings performing the songs that made them famous. Thanks again for the folks for this little gem. The Survivors comes highly recommended. Storms of rumors surround this “historic” day in Memphis, TN some 61 years ago. 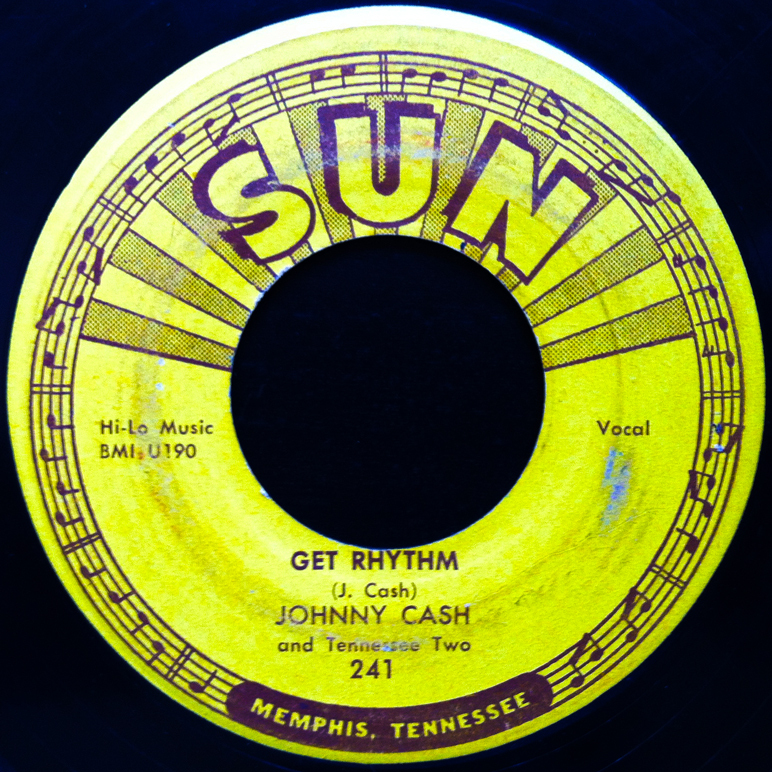 It is alleged, with some photographic evidence (take the cover, for example), that during a Carl Perkins recording session at Sun Records, Jerry Lee Lewis (then a young-fresh-fellow on the brink of superstardom), Elvis Presley, and the Man in Black, Johnny Cash recorded 30+ minutes of (mainly gospel) material for what turned out to be dubbed, The Million Dollar Quartet. 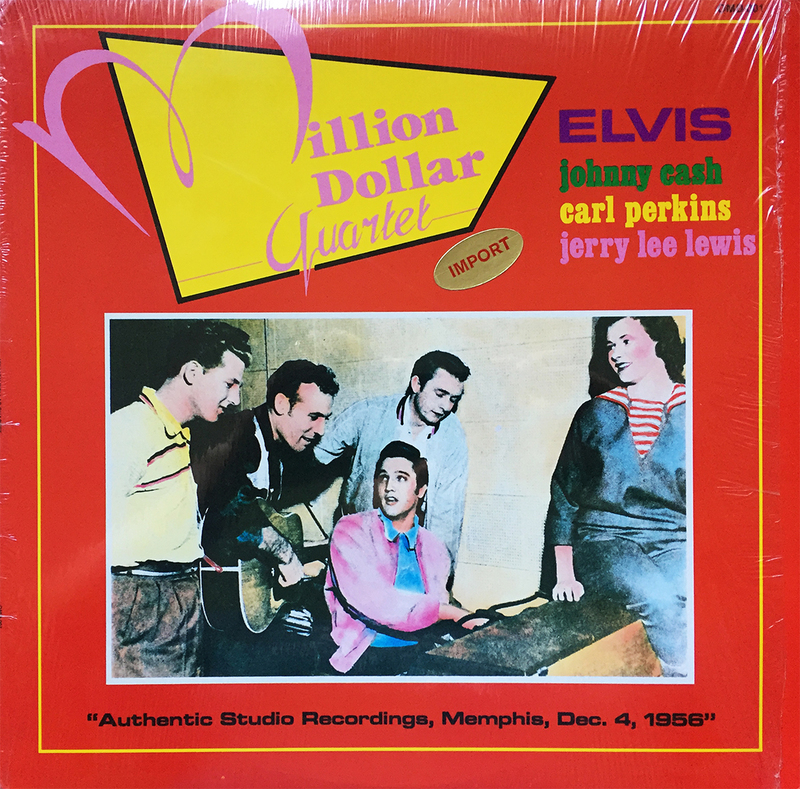 The recording is heavy Elvis, and sounds much more like an unscripted, haphazard practice session of studio musicians than anything resembling a million dollars ($9,068,492.65 today). Johnny Cash’s presence is all but nonexistent, which raises questions to the album photo’s legitimacy (the official Sun Records release from 1981 has Marilyn Evans, Elvis’ then girlfriend, removed from the photo altogether). This bootleg version was released a year earlier by OMD, and is the only known release by the unknown label. Regardless of the recording’s legitimacy, it’s an educational spin and a gem of a find. Take it with a grain of salt, but enjoy nonetheless. 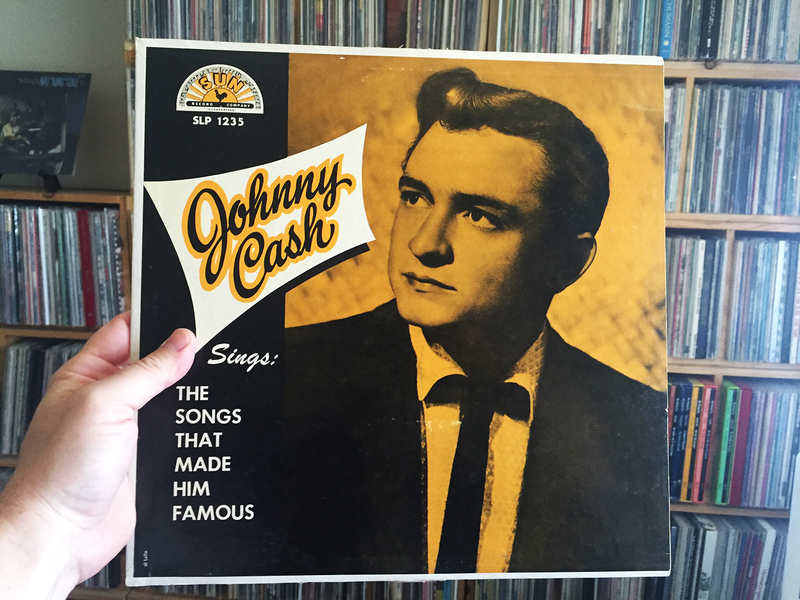 Johnny Cash Sings the Songs That Made Him Famous is a terrific starting point for any up-and-coming Cash fan. Though his second LP, it contains an all-star lineup of (early) greatest hits proportions. Remember, this isn’t a compilation album, just the man’s second full-length effort. Big River, I Walk the Line, Ballad of a Teen-age Queen, Next in Line, Home of the Blues, There You Go, and Guess Things Happen That Way… and that’s only about half of the album. If you own it, spin it. If you don’t have it, I recommend holding out for the original. 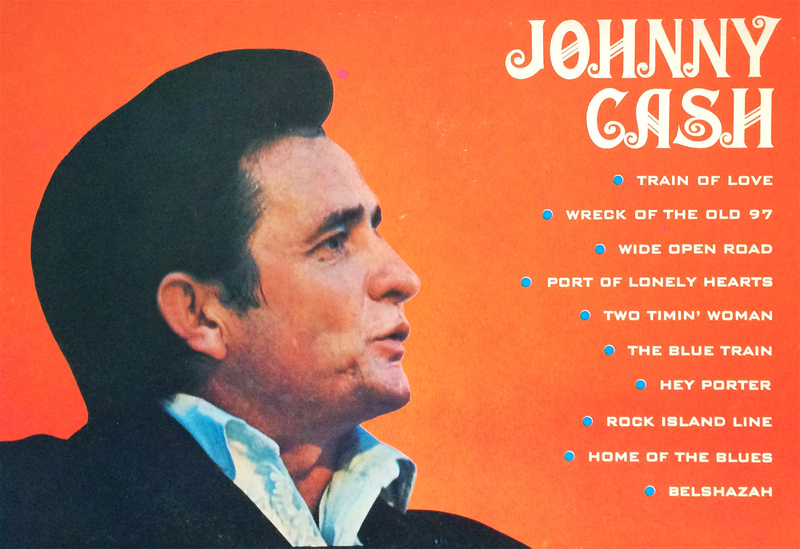 Reissues have their time and place, but with J. R. Cash, it’s go original, or go the hell home. 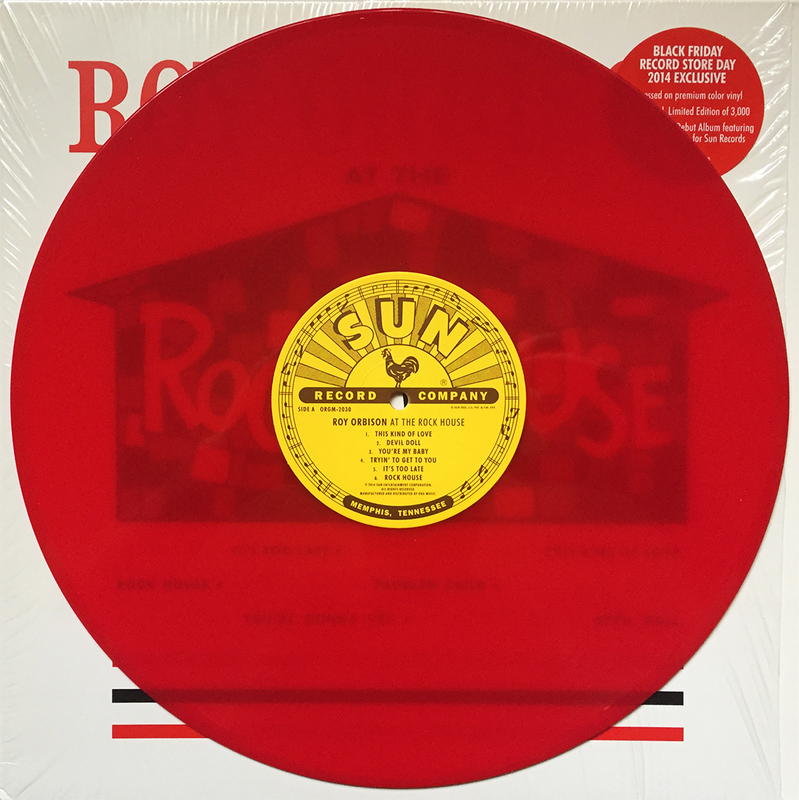 In 1984, Rhino Records, with exclusive license from Sun International Corporation, released this beautiful Greatest Hits album as a radiant picture disc. Long gone were the rights to Elvis, but each of the other legendary Sun Records icons are present. Roy Orbison doing Ooby Dooby, Carl Perkins doing Honey Don’t and Blue Suede Shoes, Billy Lee Riley doing Red Hot, Junior Parker with Feelin’ Good and Mystery Train, Jerry Lee Lewis with Great Balls of Fire and Whole Lotta Shakin’ Goin’ On, and of course, Johnny Cash with Folsom Prison Blues. It’s worth owning even if picture discs are prone to skip (and they are). The newest member to the ever-growing family of “necessary must haves” is Johnny Cash’s 2nd album, Sings the Songs that Made Him Famous. You know, I have half a mind to stop shopping brick & mortars all together. That’s the fluid ease of finding specific releases at specific grades for specific amounts, online, talking, not the logic that surrounds any given search at said B&M. Sure, I’m a strong advocate for RSD, and local mom and pops in general, but there is no way in Mississippi Hell that I’d be able to head to my local shop, specifically looking for this 58 year old record, and walk out with this precise pressing for the price I paid for it online ($14 shipped). Well, I guess the element of surprise is the draw, and for that I’m willing to continue the exercise. Any way you cut the meat, happy Monday, kids. With the screaming rooster, comes the rising sun, and along with it, majestic, Memphis sounds of early rock n’ roll. 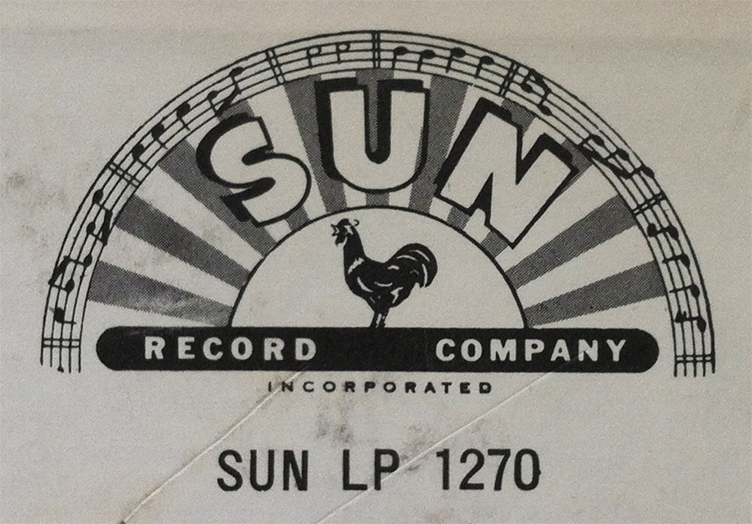 Sun LP 1270 happens to be an early Johnny Cash album, but that’s secondary to this nostalgic logo. Happy homesick Saturday, kids! 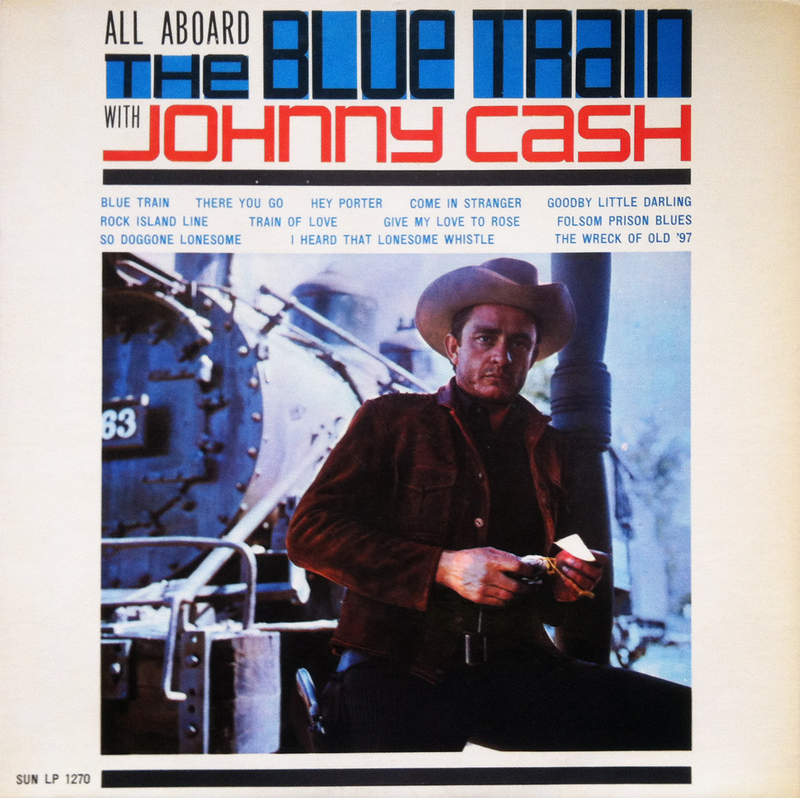 The 14th studio album by J.R. Cash was released in November of 1962, and was titled All Aboard the Blue Train, for those of you inquiring. Featuring several heavy hitters (Wreck of Old 97, Folsom Prison Blues, Rock Island Line), All Aboard the Blue Train is a collection of previously released Sun Records tracks (save for Blue Train), and was a cash in by Sun after Cash moved to Columbia. It’s a damn good album, as is anything by Cash, and comes highly recommended. Happy 84th birthday, Mr. Cash. 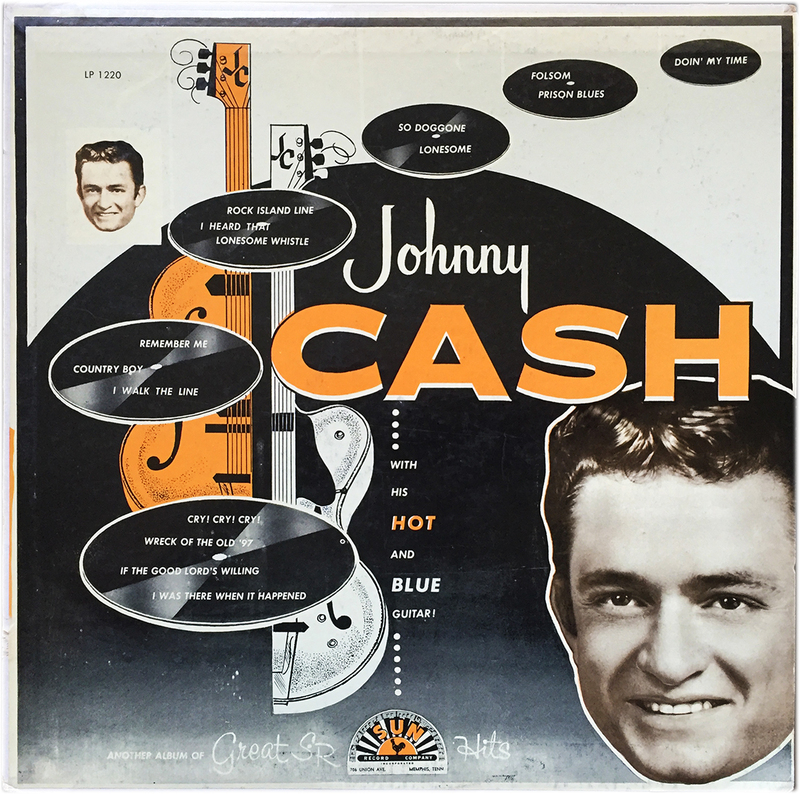 The comp work on the cover of Johnny Cash’s The Blue Train is borderline laughable (sorry Betty Cherry), but that doesn’t diminish the phenomenal tracks it houses. 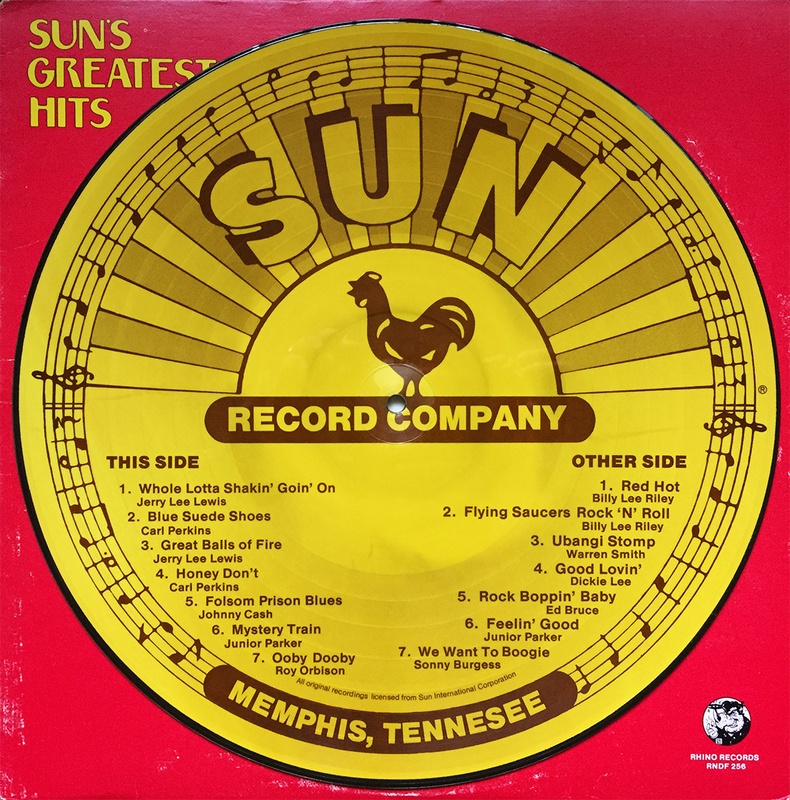 A late 70’s comp released by Sun Records long after J. R. Cash left the label, The Blue Train lifts five of its tracks (half of the record) from the 1963 album, All Aboard the Blue Train, also released on Sun Records. Repackaging and repurposing was certainly nothing new by 1979 standards, but the lack of attention to detail deserves strong criticism, at least, in my humble opinion. Anyway, happy Friday! 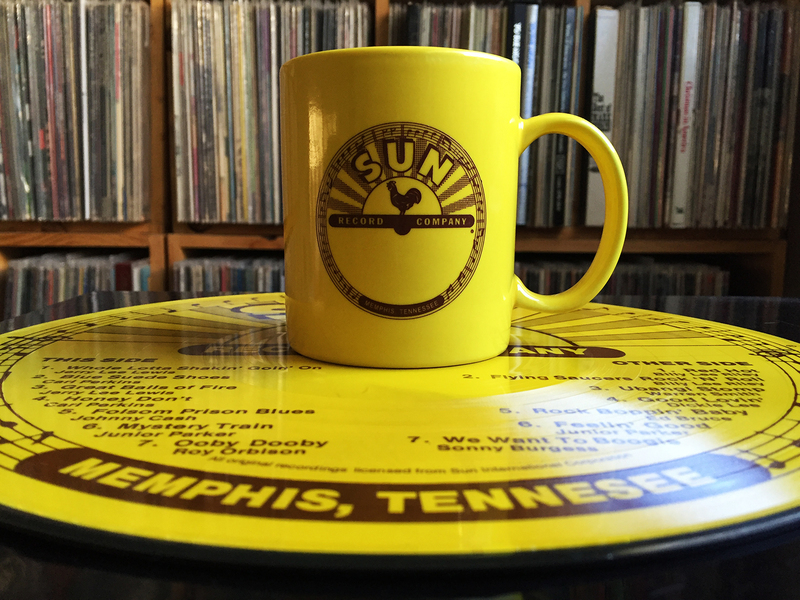 Coffee and records, the Sun Records way. Happy Tuesday, kids. Don’t forget to take that much needed morning recess, any, and every damn day! Today’s haul from the 2015 Record Store Day sponsored Black Friday event. Only four of these were actual RSD exclusives, but we certainly couldn’t turn down $0.33.3 clearance lounge records. The Sun Records picture disc was an impulse buy, and certainly justified. We hope you’re enjoying your holiday, if in fact you actually get a holiday, and we hope said holiday involves many a spun record. The Memphis, Tennessee label Hi Records had a illustrious career (until its eventual sale to Cream Records in 1977), and during its tenure, it rubbed elbows with some of the biggest names in popular music at the time. Here is a very, very brief lineage of the label, a condensed version of the following Wikipedia page. Former Sun Records producers Bill Cantrell and Quinton Claunch, along with a few other ambitious crazies started the label in 1957. 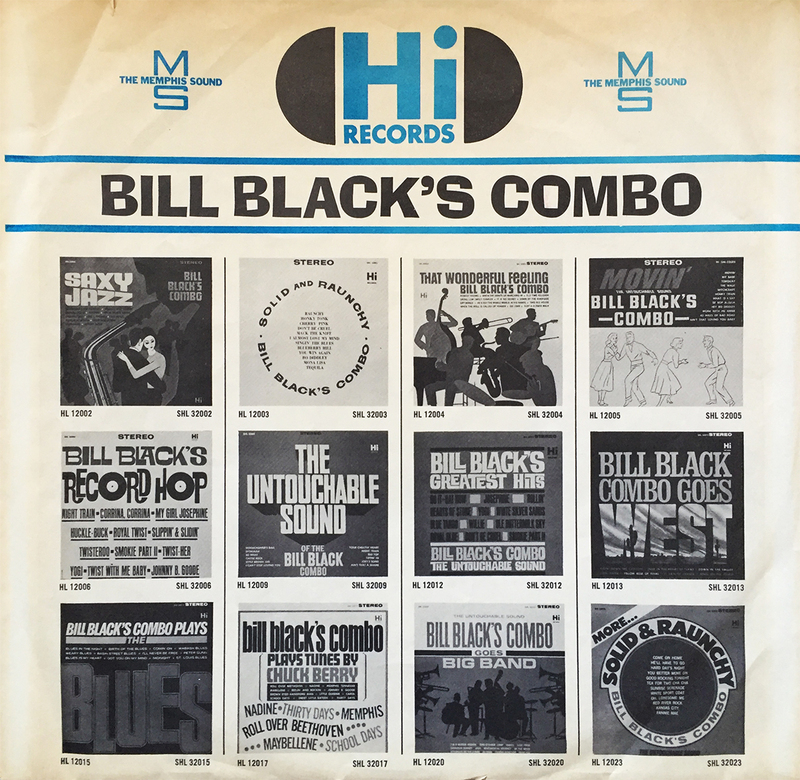 Elvis Presley’s bass player, Bill Black started a combo (Bill Black’s Combo), and gave the label it’s first big hit with 1959’s Smokie Part 2. Bill Black’s saxophonist, Ace Cannon (a record we spun at the office just a few days ago) landed the label’s 2nd hit with 1961’s Tuff. By then, Quinton Claunch (remember, of Sun Records’ fame) had sold his share of the company to Jerry Lee Lewis’ cousin, shortly before Hi Records started churning out hit after hit with a little someone named Albert “Al” Green(e). If you’ve never heard of the label, don’t worry. I just found out about it yesterday. Anyone wanna take a field trip to Memphis in the Spring? 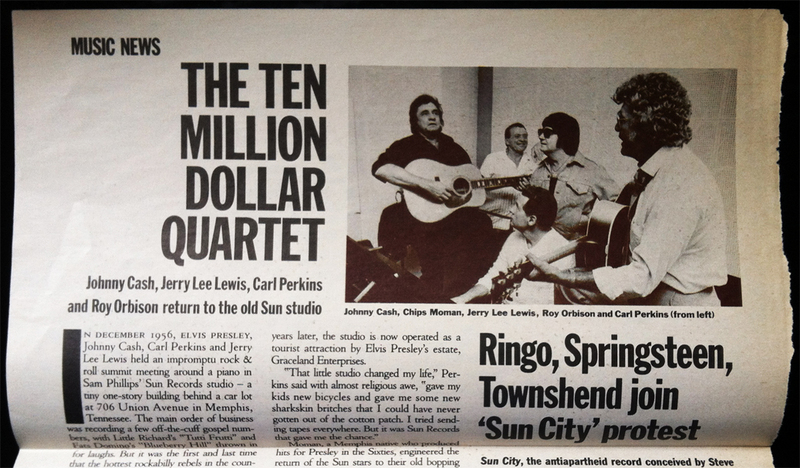 Many thanks to the previous, and anonymous owner of my copy of the Sun Records released, The Million Dollar Quartet, for mummifying this 1986 magazine article, shining light upon, arguably, the most prolific, and storied combination of talented musicians the modern age has ever witnessed. Celebrated evening reading material, for sure. Perhaps I’ll transcribe it someday… perhaps. 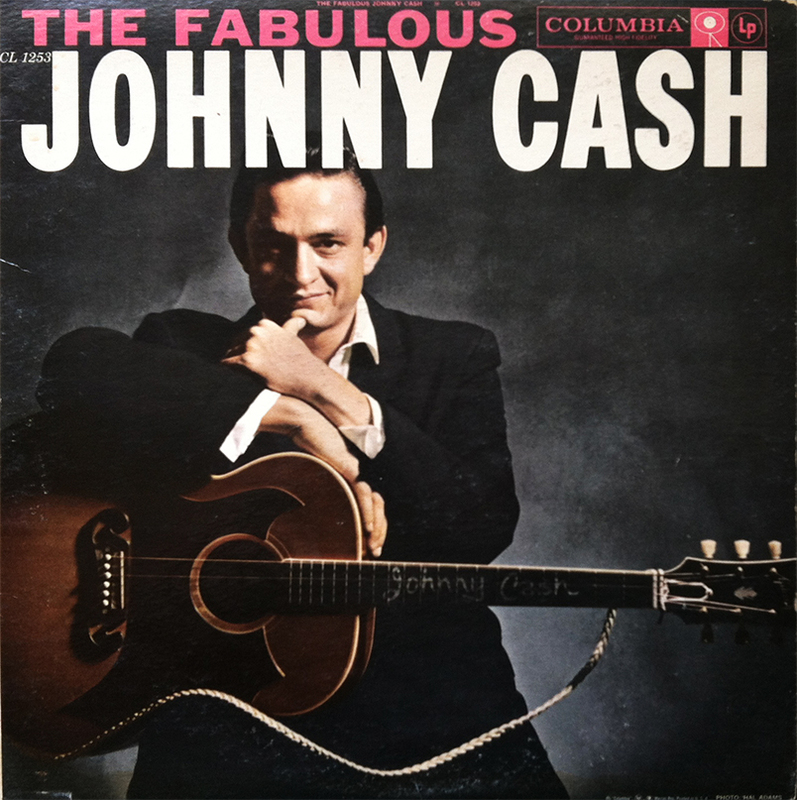 For J. R. Cash’s third studio album, 1958’s The Fabulous Johnny Cash, the legendary man in black, or The Undertaker, as he was jokingly nicknamed, took a staggering leap up the distribution ladder and landed a contract with acclaimed Columbia Records, a label he’d stay with until moving to Mercury Records in 1985. It should be noted that J. R.’s stint with Sun Records, his first label, is the favored batch of rural tunes by yours truly. Be it either the simplistic and underproduced approach, or the documentation of a storied artist making his first marks, I for one just can’t get enough of that radiant, Sun sound. 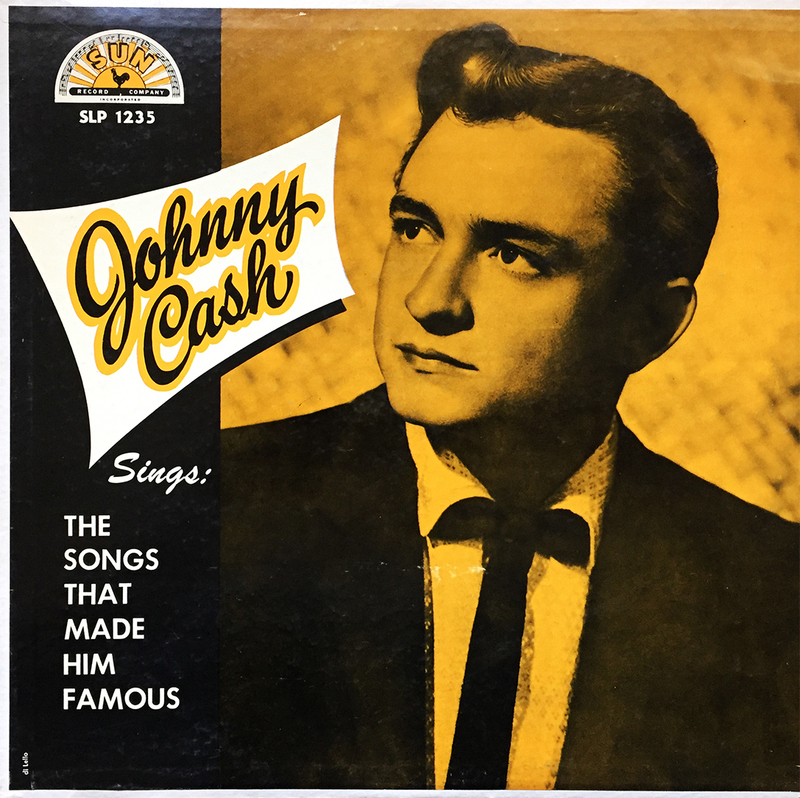 Mr. Cash released two singles from TFJC. Frankie’s Man, Johnny and Don’t Take Your Guns to Town, the latter proving to be one of his biggest, early successes. It’s painfully obvious to mention that J. R. Cash was as unstoppable as Old 97 for Columbia, churning out hit after record breaking hit, a three decades long merger that proved, what I assume, immensely lucrative for both parties. 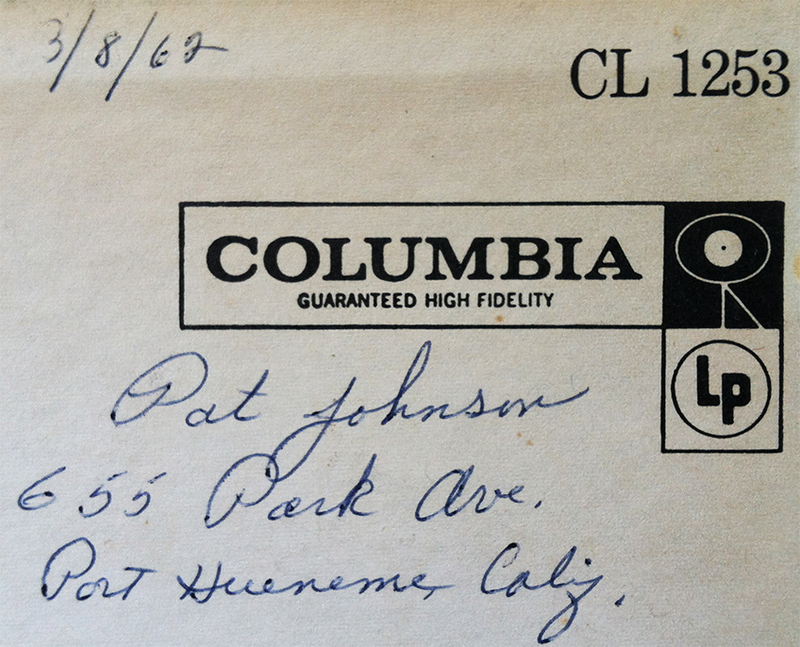 This copy was a thrift store find about a decade back, and was apparently pre-owned by a Pat Johnson from 655 Park Ave in Port Hueneme, CA. I venture to think, since 3/8/62 until the day it was offered to an Oxnard, CA second hand store, that Pat cherished The Fabulous Johnny Cash almost as much as I do. 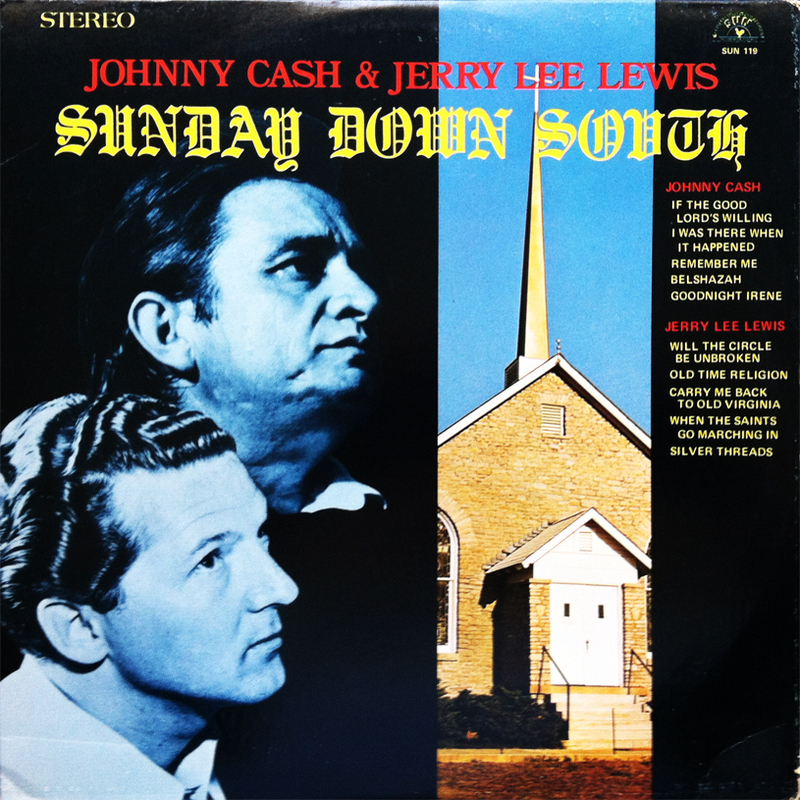 Cataloged as SUN 119, Sunday Down South is a lot more than just a compilation of songs by the late 1950s masterminds of radio rock, Johnny Cash and Jerry Lee Lewis. 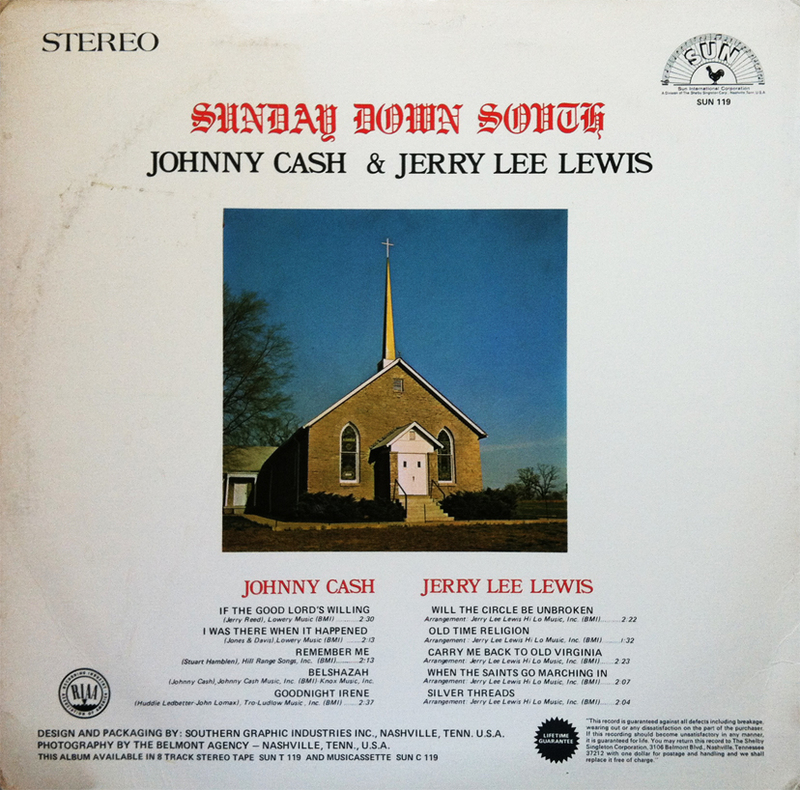 Apart from being a great representation of these legendary artists as they both entered the 1970s (this album was released in 1970), Sunday Down South is good ol’, down south rockin’ gospel done right. Something can be said about each of these man’s darker, more controversial sides coupled with their resurrected approach to religious music, but unfortunately, I have no idea what those words might be. Clocking in at just over 22 minutes, Sunday Down South is a painfully brief, yet enjoyable journey into the rock n’ roll souls of these mythical musicians, and is a perfect album to enjoy on this, or any Sunday, regardless of your geographical location. When times are tough and you’d rather stand in the darkness and shout for hours at the starless sky, Get Rhythm. When your boss’ ego takes priority over what’s best for everyone involved, Get Rhythm. When you find that honesty takes backseat to the convenience of fearful confrontation, Get Rhythm. When the squirrels have finally found an effective way to raid the bird feeder, and it’s time to say goodbye to the birds, Get Rhythm. When social decencies are ignored for selfish, single-minded objectives, Get Rhythm. When popularity eclipses the right thing to do, Get Rhythm. When you get the blues, Get Rhythm. When you purchase a used album, you really never know what you’re going to get. (Takes a few steps forward and smiles.) Hello, this is X from The Prudent Groove. 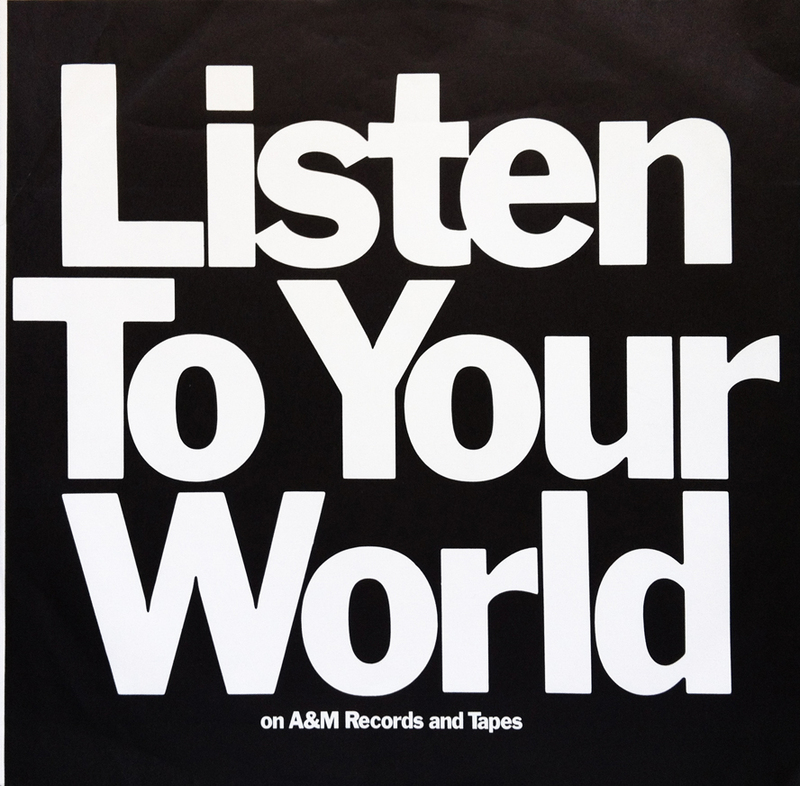 “Listen To Your World” is a clear-headed marketing slogan from A&M Records that suggests “your world” (Does quotes with his fingers… incorrectly.) can only be found on A&M Records. Clever girl. (Says in terrible British accent.) The flipside to this slogan showcases some pretty heavy-hitters from the A&M catalogue. (Looks down at insert as if to read.) 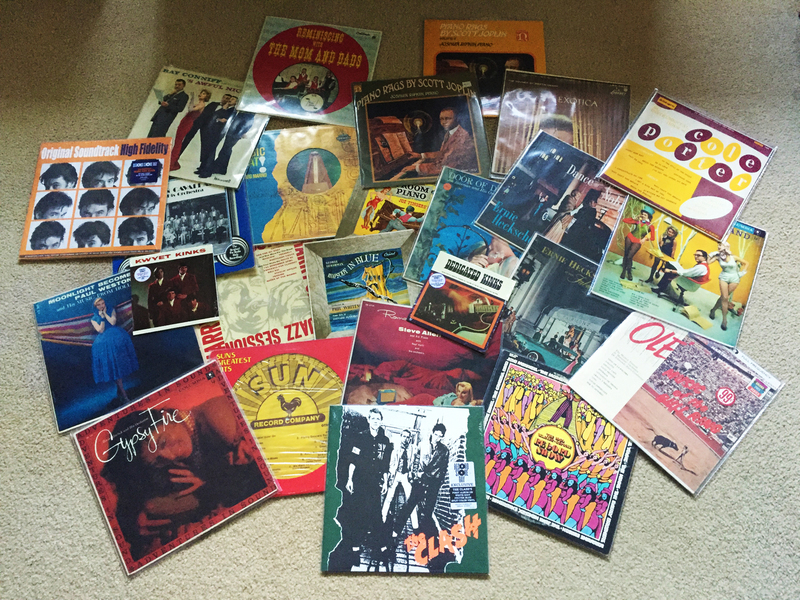 Cat Stevens, Herb Alpert, Humble Pie, Quincy Jones and Burt Bacharach to name a few. With no date affixed to this insert, the words, “Listen To Your World” seem to become as timeless as some of the classic releases found on A&M Records. Coupled with the bold, white text on a basic, black background, this modern day musical proverb is a strong, and I hope profitable, marketing campaign for A&M Records, one that I’m happy I stumbled upon in an almost unorthodox manner. Take a little mental trip on your next hunt through your local second hand store, and give a distinctive personality to that record you can’t live without. (Puts hands in pockets and smiles.) The album, like the music, exists as an entity in and of itself. Give it a history, and your collection will come to life in ways you never imagined.